Okay. Did you see the title of this cookie? Espresso – yum. Dark Chocolate – always. Coconut – amazing. Put it all together? AMAZINGLY AMAZING! 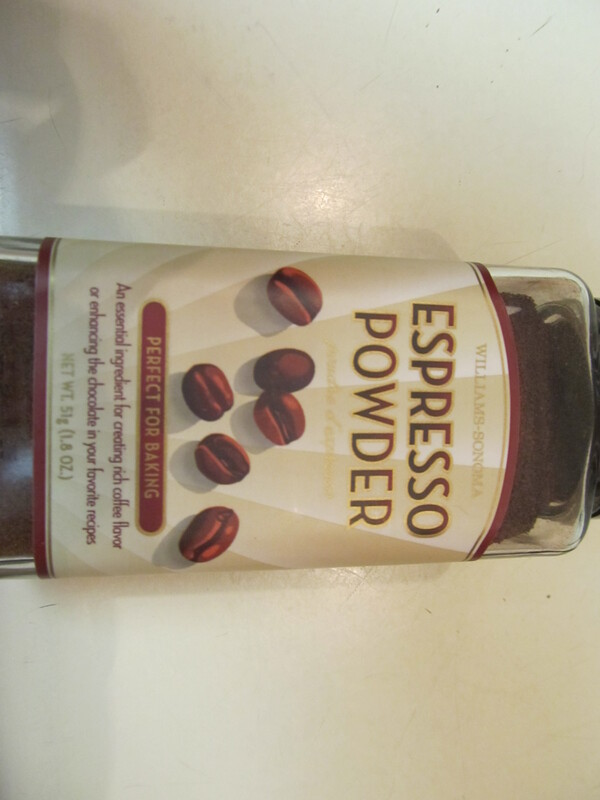 Now, I wondered what espresso powder was, since I don’t remember seeing it in the supermarket. I googled it and found out that Williams Sonoma was the easiest and most reliable place to get it – so I just went there. Boom. Look at all those flakes of coconut and chunks of chocolate chips. 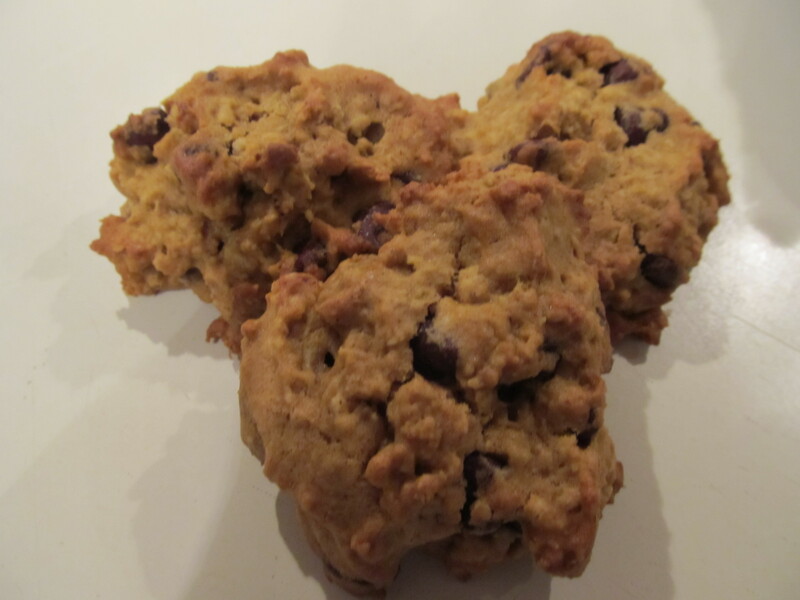 OMG look how amazing these babies look……They taste so delicious – espresso and coconut. Even if you aren’t a coconut fan, these are just spectacular. You have to try them. And if you ARE a coconut AND a chocolate fan? OMG this could be your version of what heaven tastes like. 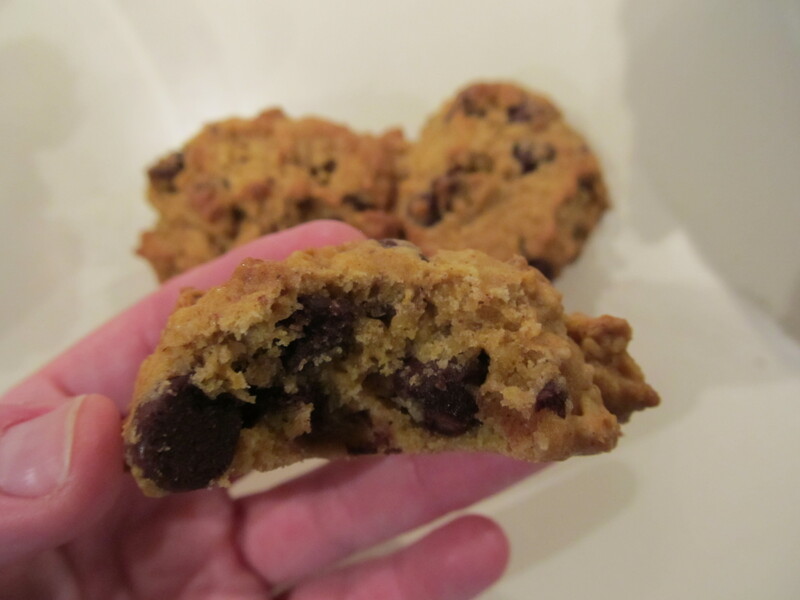 If you are thinking of making chocolate chip cookies with a twist, MAKE THESE NOW!!!!! I made these last Christmas and they were so awesome, I repeated them for this Christmas! Preheat the oven to 350˚ F. Line baking sheets with silicone baking mats or parchment paper. 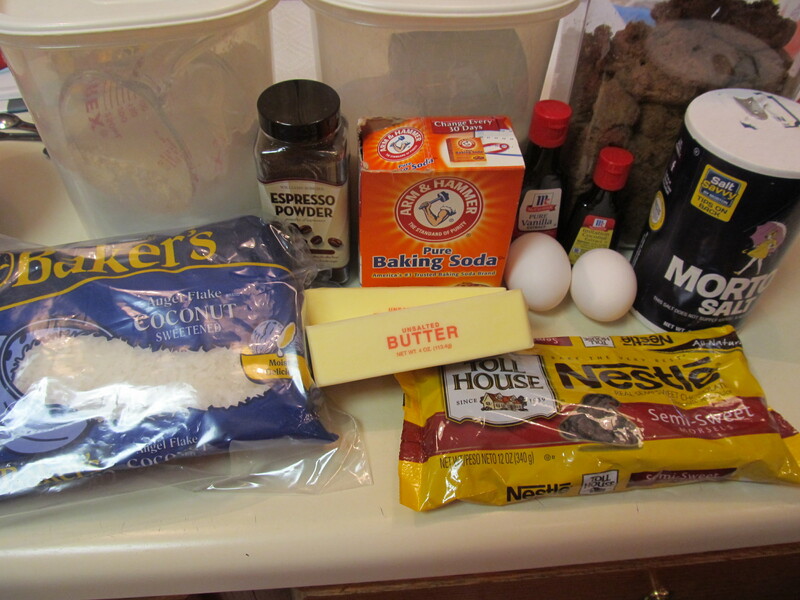 In a medium bowl, combine the flour, baking soda, salt, and espresso powder. Whisk to blend and set aside. In the bowl of an electric mixer, combine the butter and sugars and beat together on medium-high speed until light and fluffy, about 3 minutes. Blend in the eggs one at a time, beating well after each addition. Blend in the vanilla and coconut extracts. With the mixer on low speed, add in the dry ingredients, mixing just until incorporated. 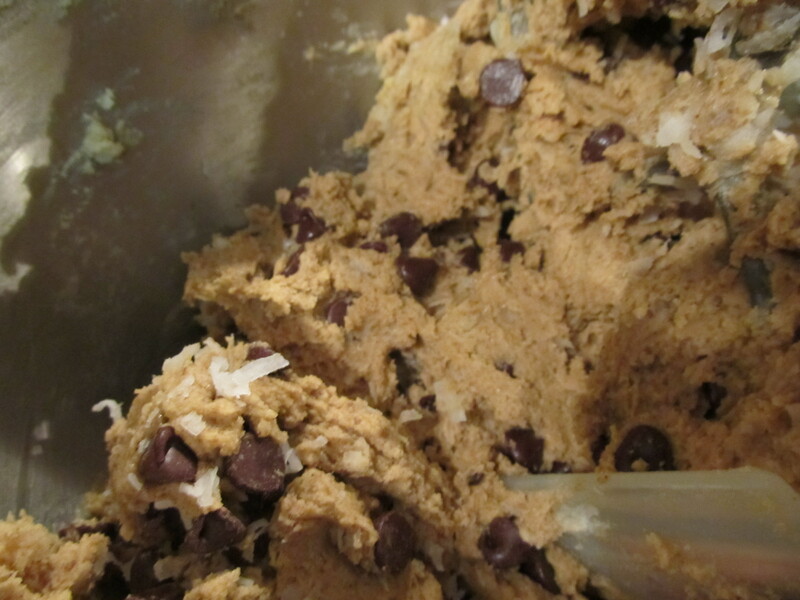 Fold in the chocolate chips and coconut with a spatula. Bake for about 14-16 minutes or until just set, rotating the pans halfway through baking. Let cool on the baking sheets about 5 minutes, then transfer to a wire rack to cool completely. Store in an airtight container. I wanted to make something fall-ish and pumpkin-y….are they words? I dont think so, but we’ll just go with it! The batter came together easily and as soon as I whipped them up and doled them out on cookie sheets, I knew they would be good. They are very cakey in texture. I think the pumpkin taste could be a bit stronger…..maybe a smidge more of the nutmeg maybe? 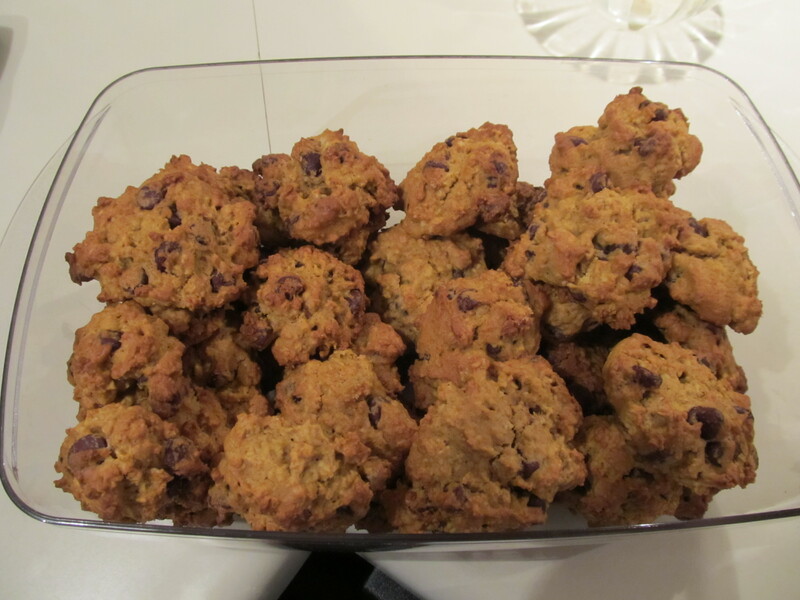 This batch of delicious goodies went with me to work for some team meetings…..And it was devoured in 2 days. ‘Nuff said. 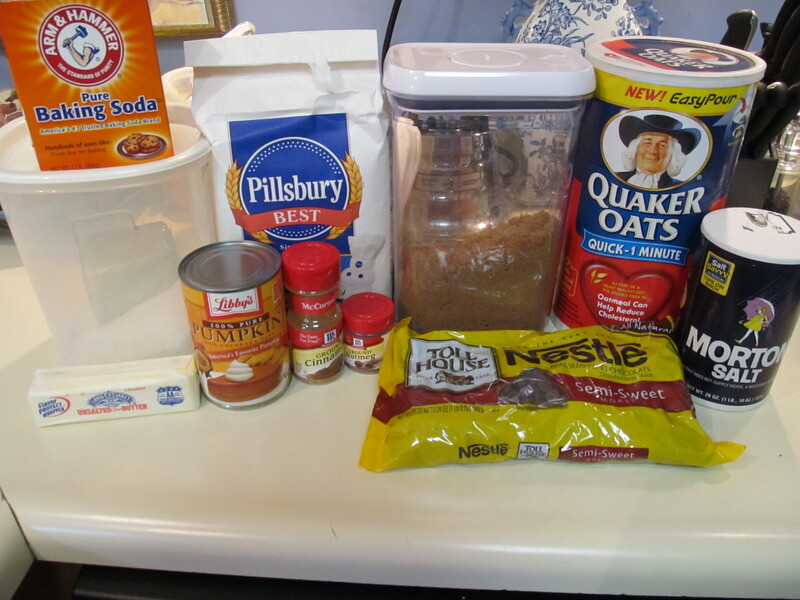 In a mixing bowl, stir together flour, sugars, baking soda, nutmeg, cinnamon, and salt. In a separate large bowl or stand-mixer, cream butter. Then slowly add larger dry flour/sugar mixture in batches. Add the egg and pumpkin. 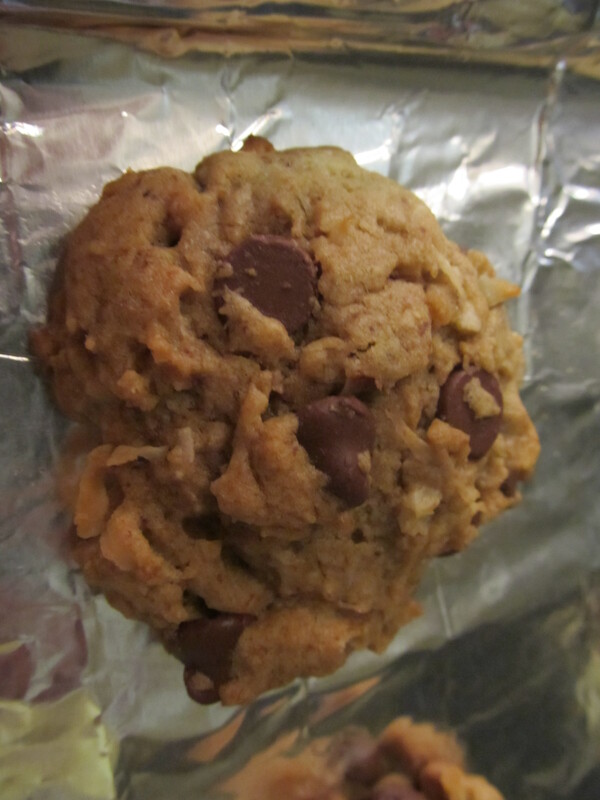 Then the rolled oats and chocolate chips. 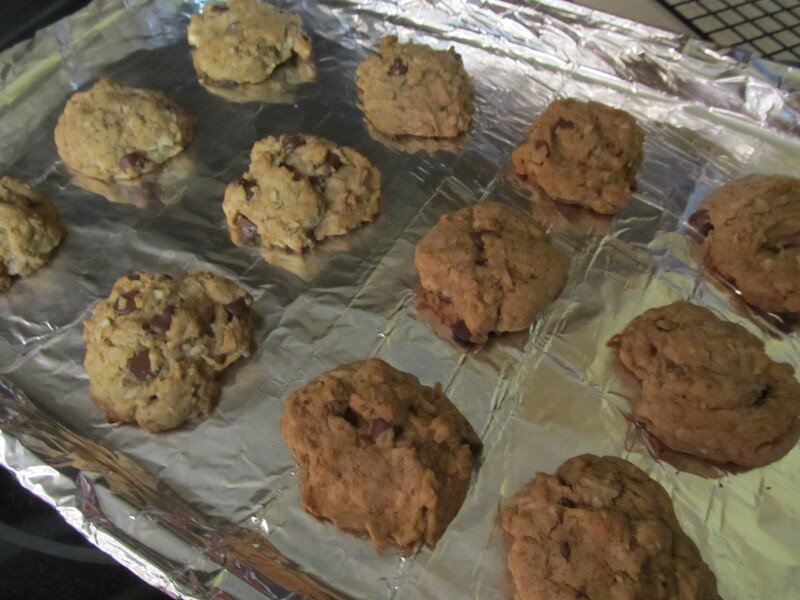 Drop heaping spoonfuls onto baking sheet lined with parchment paper.